It was recently revealed that Windows 8 was running on 1.64 percent of all computers worldwide as of December according to data from Net Applications. Here we are just a couple of weeks later and that figure has already jumped to 2.25 percent – good news for Microsoft’s recently-released operating system. At 2.25 percent, Microsoft is quickly closing in on Mac OS X 10.8 which is installed on 2.43 percent of computers worldwide as of the week of January 13. Furthermore, Windows 8 Touch and Windows 8 RT Touch collectively added another 0.08 percent to Redmond’s market share. It shouldn’t surprise anyone to see that Windows 7 still has a commanding lead over all other browsers being tracked. Microsoft’s last generation OS was installed on 45.35 percent of all computers worldwide. Windows XP still has a solid user base as well at 38.71 percent while Vista is holding on to 5.06 percent of the market. The next closest OS is Mac OS X 10.8 at the aforementioned 2.43 percent share. Mac OS X 10.6 and 10.7 maintain 1.93 percent and 1.92 percent of the market, respectively. All others including Linux, Windows 2000, Windows NT and Windows 98 combined for 2.35 percent. 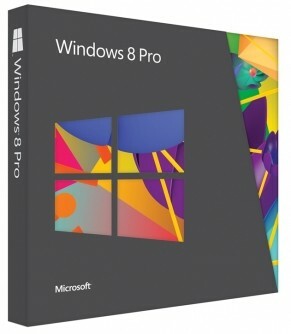 As Neowin points out, we will likely see Window 8 market share increase throughout the course of January, partially due to the fact that Microsoft will be offering online upgrades to Windows 8 for just $39.99 through the rest of the month. Come February and beyond, however, it’s anyone’s guess as to how quickly consumers will adopt the new OS.